Zurich Plastics - Greek aesthetics, German quality & Swiss precision. Zurich Plastics is a brand new health and beauty clinic that offers top-tier treatments and procedures to its elite client base. The clinic itself offers a wide range of health and beauty services that include the most popular minimally invasive treatments as well as elaborate surgical procedures. Upon completing his studies at one of the top five universities in Germany – the University RWTH Aachen, Konstantinos Jiouchas moved on to complete his plastic surgery residency in Germany. He then accepted an offer to work as an Consultant Plastic Surgeon at the Department of Plastic Surgery at the Cantonal Hospital of Winterthur, University of Zurich, before entering the private sector and perfecting his craft in Switzerland. 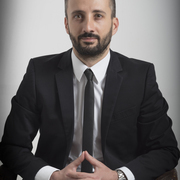 Konstantinos Jiouchas is a Board Certified Plastic and Aesthetic surgeon whose Greek-German upbringing has granted him a competitive position in the field of health and beauty. In essence he wishes to instil his multicultural background within his practice so as to best satisfy the needs of his clients all whilst providing them with high-quality treatments and patient safety as a priority. Sólo tienes que subir tres fotos estándar ahora para ver una simulación 3D en tu próxima cita con MD Konstantinos Jiouchas. Visualiza tu cuerpo o rostro actual en 3D antes de la consulta y obtén acceso desde casa a tu nueva imagen después de la consulta para poder compartirla con amigos y tomar una mejor decisión. Después de la consulta, MD Konstantinos Jiouchas puede darte acceso para ver tu "nuevo yo" desde casa, con tu propia cuenta Crisalix. Esto te permitirá compartirlo con tu familia y amigos o con cualquier persona a la que quieras pedir opinión.